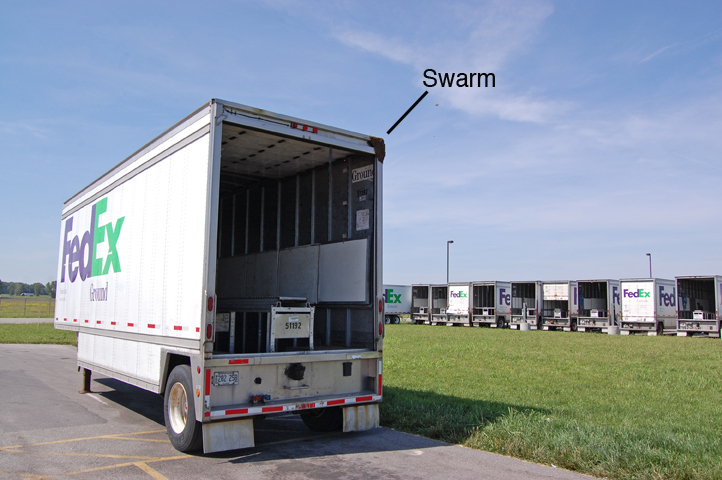 On May 17th I got a call from a Fed Ex driver telling me about a swarm on one of the trucks in the ground transportation yard. There was a lot of vigorous waggle dancing going on by the scouts. 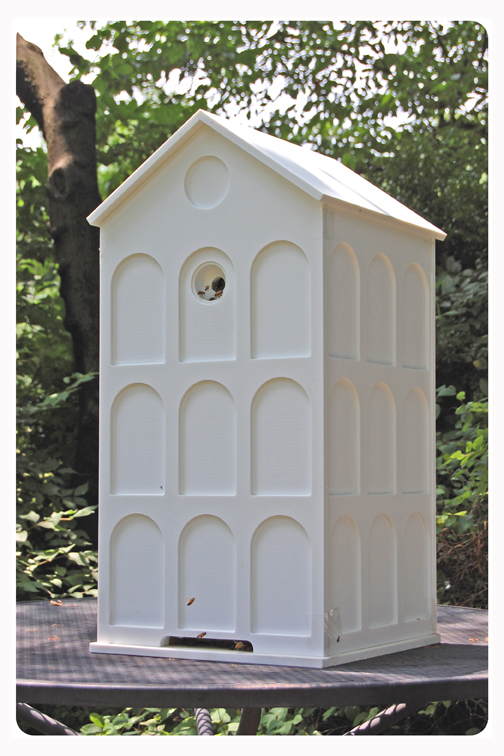 After returning home with the swarm I installed the bees into a HAVEN hive. 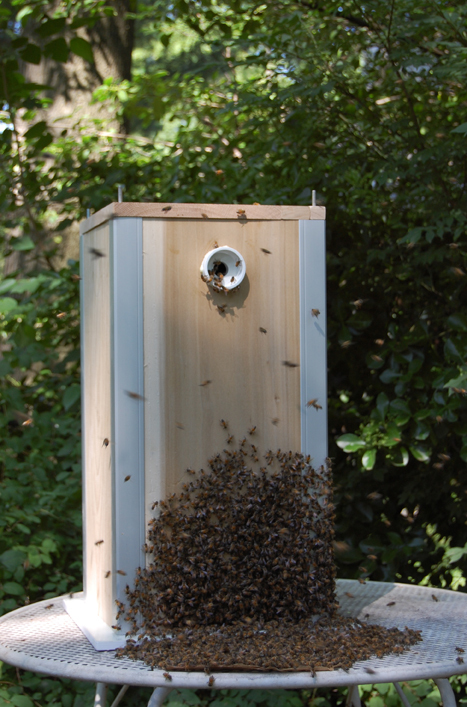 The bees have moved in and await installation on their post. 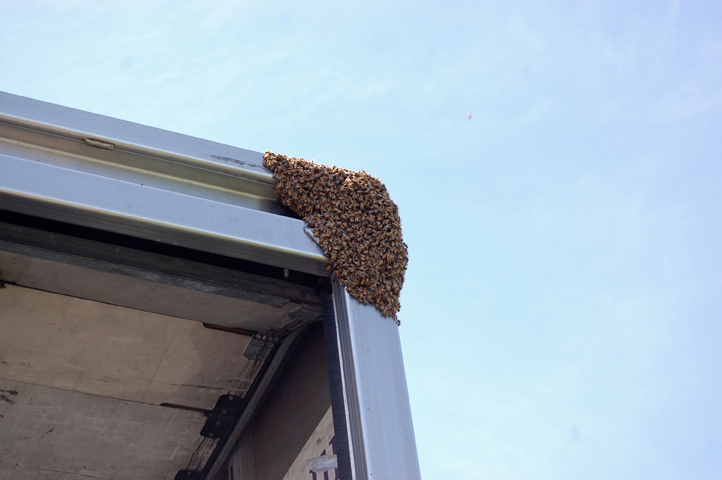 After only 10 days this close up shot of the entrance shows the bees have built an impressive propolis curtain to reduce the lower hive entrance. 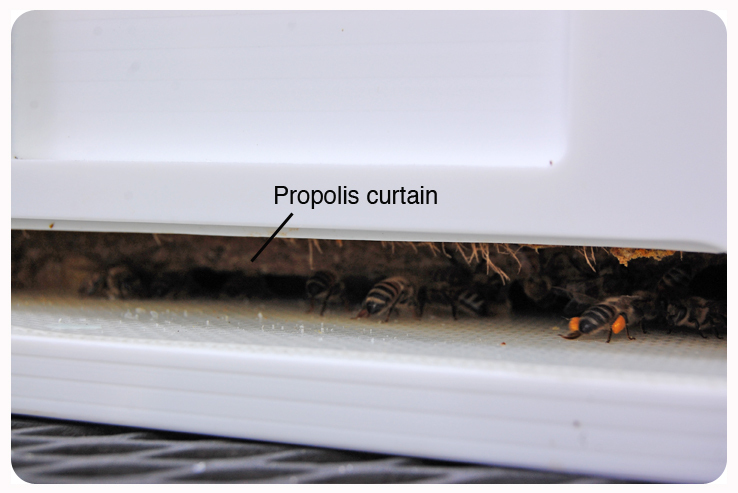 The orange pollen on the returning worker’s legs means the queen has probably survived the transfer and there will be brood to feed.